"The Russian Finance Ministry will hold a public action to sell gold nuggets from the State Fund to the domestic market." Guess this corroborates Salustra's post above, in a way. "Bradley Birkenfeld is the most significant financial whistleblower of all time, so you might think he'd be cheering on the disclosures in the new Panama Papers leaks. But today, Birkenfeld is raising questions about the source of the information that is shaking political regimes around the world. Prof Blanchard, now at the Peterson Institute in Washington, said the Bank of Japan will come under mounting political pressure to fund the budget directly, at which point the country risks lurching from deflation to an inflationary denouement. “One day the BoJ may well get a call from the finance ministry saying please think about us – it is a life or death question - and keep rates at zero for a bit longer,” he said. "The risk of fiscal dominance, leading eventually to high inflation, is definitely present. I would not be surprised if this were to happen sometime in the next five to ten years." Arguably, this is already starting to happen. The BoJ is soaking up the entire budget deficit under Governor Haruhiko Kuroda as he pursues quantitative easing a l’outrance. The central bank owned 34.5pc of the Japanese government bond market as of February, and this is expected to reach 50pc by 2017." "The Asian Dragon Family has offered the owners of the Federal Reserve Board staggering quantities of gold at a 13% discount from the market price. The idea is for 10% of this money to be spent on a massive campaign to end poverty, stop environmental destruction and send humanity on a path for exponential expansion into the universe. The ball is now in the court of the US regime in Washington DC. That is why the US President and Vice President are having an emergency meeting on April 11 with Federal Reserve Board Chairperson Janet Yellen. A member of the Dragon family will also be at that meeting, CIA sources in Asia say. ...........In addition to the financial sanctions against the Feds, the worlds’ martial arts societies will be mobilized to finish off the genocidal faction of the Khazarian mafia. Chodoin Daikaku, the ostensible head of many of the world’s martial arts factions, is being relieved of his duties and will be replaced by Masaaki Hatsumi, head of the Bujinkan Dojo. The reason for this is that Daikaku, whose real name is Ryosuke Matsuura, has refused to mobilize the martial arts societies under his supposed leadership despite being presented with ample proof that the Khazarian mafia has been actively trying to murder more than 90% of the world’s population. In other words, multiple blows have been struck against the human race and, despite a legitimate need for self-defense, he does nothing. ............Some of the names in the Panama Papers that have not been made public include Hillary Clinton’s “team,” the Bushes and many US oligarchs, politicians and judges, he adds. The Globo TV network that is trying to induce regime change in Brazil has also been implicated together with Argentine President Mauricio Macri and drug lords like El Chapo. In response to Panama, the agent noted “the elites panicked and set a fire in the basement of the Internal Revenue Service’s headquarters,” in a failed attempt to cover up incriminating evidence. .............The money being looted from Japan is not enough to save the Wall Street Khazarian gangsters because they are reeling from low energy prices plus the loss of drug money and of investment banking fees, their only legitimate source of income. Most big mergers being organized by the Banksters are also being stopped because they are creating anti-competitive monopolies and oligopolies. The fact banks have started to offer negative interest rate mortgages and consumer loans in the Netherlands, Belgium and Germany is a clear sign the entire system of Babylonian debt slavery is falling apart. That is because people are realizing these banksters are creating money out of nothing and using this illusion of money to create debt slaves. So, even if a bank lends somebody 100 dollars but says they only have to pay back 90 dollars because of negative interest rates, it still means you have to work to earn 90 dollars to pay them for “money” they created out of nothing but illusion. "In a shocking move likely to crush the US economy overnight, China is refusing to make its new gold-backed Yuan, convertible from or to US Dollars. 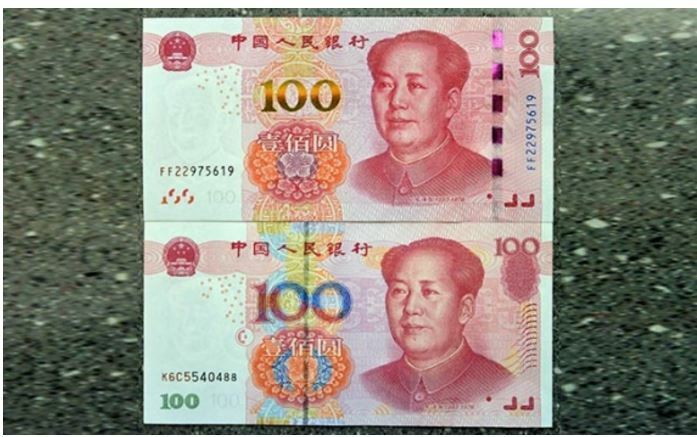 The new Yuan will be introduced next Tuesday, April 19. When this new currency is issued, countries that have been forced to use US Dollars for decades, and have had to keep billions of dollars in their foreign currency reserves, will be free to dump those dollars. But they won't be able to dump them to China for the new gold-backed, Yuan!" "Top Chinese banks, alongside Standard Chartered and ANZ, will be among 18 members to join a new yuan-denominated gold benchmark that signals China's biggest step towards becoming a price-setter for the metal. As the world's top producer, importer and consumer of gold, China has baulked at having to depend on a dollar price in international transactions, and believes its market weight should entitle it to set the price of gold. The Chinese benchmark price will be derived from a 1 kg-contract to be traded by the 18 members on the Shanghai Gold Exchange (SGE), which will act as the central counterparty. The price-setting process will include China's big four state-owned banks, Industrial and Commercial Bank of China , Agricultural Bank of China, Bank of China and China Construction Bank, the SGE said in a statement on its website." Find it interesting this rolls out on April 19th! To me, this is just another bit of proof that they all have the same MASTER. Or it is designed as a counter move. A kick in the face of the cabal on their significant date. "Former Fed Chairman Alan Greenspan said Thursday that monetary policy has reached the outward bounds of its effectiveness without another round of quantitative easing. "Monetary policy … has done everything it can unless you want to put additional QEs on. They're not helping that much in the sense that ultimately determines whether or not you're getting an effect from the QEs" beyond increasing price-to-earnings ratios in the stock market, he said during an interview on CNBC's "Squawk Alley." "There's no real evidence that we're getting an impact on lending and on the economy picking up," he said. Greenspan said he disagreed with International Monetary Fund Managing Director Christine Lagarde that negative interest rates create a net positive impact. Lagarde offered the assessment earlier on "Squawk on the Street." Japanese and European policymakers have pushed some key rates into negative territory." It's becoming pretty obvious that the days of Federal Reserve System hegemony are now limited, in that much of the world is dumping the US Petro Dollar and plans to shift to direct trade and use of Gold, Silver and commodity-backed real currencies. "The FRS has been buying up US Treasury notes from the Chinese and other nations who fear they are soon approaching a complete loss of value. Thus the FRS and the US Treasury are monetizing debt, which means they are kiting up the whole system to manipulate the statistics to look good, while the whole system nears ultimate collapse." "As the RKM is now cornered by the rest of the World that is tired of their debt note private central Banksters Fiat counterfeit currency scam, it is becoming obvious by the day that the RKM is losing power and soon the Hierarchy itself will be taken apart at the seams. Top Hierarchy members know this is happening and are scrambling to shift the FRS into the USG as a US Federal Agency owned by We The People to create cover and provide an escape from the peasants and their pitchforks. Many Americans are now learning that the US Congress is spending about 40% more than it takes in in Tax revenues. This means that it must borrow more and more FRS Petro-Dollar debt-notes from the unending, elastic American Money Factory which is a true monopoly and completely illegal and unConstititional. If a law is unConstitutional, it is by definition illegal and no American has any obligation to obey it. The only reason we pay our Federal taxes is because the RKM Banksters have transformed America into their own police state with their “owned” judicial system, and their ability to use their unbridled power of the boot in your face and threatened imprisonment to force compliance." Stay tuned because this looks to be sizing up as a very eventful summer this year and a tempestuous Fall and election cycle. 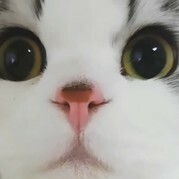 Here's one to lead you to the source. "Government watchdog Judicial Watch published more than 100 pages of formerly classified documents from the U.S. Department of Defense and the State Department. Hungary has become the first Eastern European country to issue a yuan-denominated sovereign bond. The deal that shows how currying favor with China may be a more important driver for the market than funding. Reader Steve who sent me the story commented on Hungarian mortgages denominated in Swiss Francs only to see the Franc jump over 20% in value overnight. “Pretty clever guys!”, said Steve. The Wall Street Journal reports Hungary to Issue Dim-Sum Bond as It Seeks to Curry Favor With China. Hungary priced the three-year bond at a yield of 6.25%, raising 1 billion yuan ($154 million), a small size for a sovereign deal. Bankers not involved in the transaction estimate that if Hungary issued debt in U.S. dollars and swapped the proceeds into yuan, it would have paid almost 1% less in annual interest costs. The dim-sum market isn’t an appealing market right now. Issuance of offshore yuan bonds has been falling consistently since Beijing’s decision to devalue its currency by 2% in August last year—the prospect of another yuan devaluation has sapped much of the appeal of such bonds for offshore investors. However, Ivan Chung, an associate managing director at Moody’s Investors Service, said selling yuan-denominated sovereign debt promotes Hungary as a yuan hub, partly by establishing a benchmark off which Hungarian firms can issue their own yuan bonds. Bank of China opened a yuan clearing center in Budapest last October, according to China’s Xinhua News Agency, in a ceremony involving the Hungarian Prime Minister Viktor Orban and the Bank of China chairman Tian Guoli. In January this year Hungary mandated Bank of China solely for its offshore yuan bond. This follows a pattern seen in other places. The United Kingdom issued a 3 billion offshore yuan bond in October 2014, four months after China Construction Bank said it would launch yuan clearing in London, setting up that center as a yuan-trading hub. Sovereign dim-sum issuance also generates goodwill with China, which wants to see more cross-border finance done in yuan. 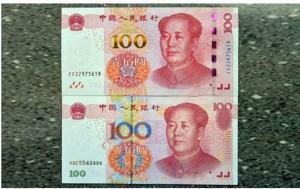 In November 2013, the Canadian province of British Columbia issued a 2.5 billion one-year offshore yuan bond. The small size and short tenor didn’t do much for the province’s finances, but a banker who ran the deal said the offer promoted B.C.’s trade relations with China. from, China’s infrastructure projects, and might even participate in contracts for such works. “Hungary could use yuan to settle the trade or investment involved, such as payment for China construction firms and equipment, which could help to reduce foreign-exchange risks,” Mr. Chung added." "A dark storm is brewing in the world of private pensions, and all hell could break loose when it finally hits. As the Washington Post reports, the Central States Pension Fund, which handles retirement benefits for current and former Teamster union truck drivers across various states including Texas, Michigan, Wisconsin, Missouri, New York, and Minnesota, and is one of the largest pension funds in the nation, has filed an application to cut participant benefits, which would be effective July 1 2016, as it "projects" it will become officially insolvent by 2025. In 2015, the fund returned -0.81%, underperforming the 0.37% return of its benchmark. As a result, Thomas Nyhan, executive director of the Central States Pension Fund said that the fund could become insolvent by 2025 if nothing is done. The fund currently pays out $2.8 billion a year in benefits according to Nyhan, and if the plan becomes insolvent it would overwhelm the Pension Benefit Guaranty Corporation (designed by the government to absorb insolvent plans and continue paying benefits), who at the end of fiscal 2015 only had $1.9 billion in total assets itself. Incidentally as we also pointed out last month, the PBGC projects that they will also be insolvent by 2025 - it appears there is something very foreboding about that particular year. Before any real change is instigated they must convince us we need it. That is why we will see the whole place going to pot before it comes. Meanwhile the control of gold and pricing is drifting east and there should be a reset of the gold and silver price before any reset of currencies. Today whistleblower and London metals trader Andrew Maguire spoke with King World News about the massive pressure for a gold price reset, Deutsche Bank’s confession, and China checkmating the West in the gold war. More importantly, it illustrates that Western central planners have lost the war against China’s move to wrest away control and to consolidate the gold market, a market that was once firmly under Western control. Obviously, this has huge implications. Given that there are billions of dollars of underwater derivatives under threat and price is increasingly being set outside of the (bullion bank) market makers control, the pressures for a gold price reset are massive. With China playing the long game, the (upside) battle is now won. But knowing the LBMA bullion banks would try to skirt the SGE fix, China forewarned these (Western bullion) banks that if they didn’t participate, they would be barred from participating in the Chinese gold markets. Furthermore, any manipulation attempts by the bullion banks would be dealt with the Chinese way, not the bought and paid for Western regulators’ way. So this is a true game-changer. And you can add into the bullish mix Deutsche Bank admitting to colluding with several other bullion banks in order to rig bullion prices. Aside from the multi-billion dollar civil law suits that will ensue, some of which are already filed, the key element here is the agreement by Deutsche Bank to release transcripts that prove collusion. This is a huge deal. Perhaps Deutsche Bank will attempt to seek immunity from prosecution, but given the banks they will formally name that will be at the center of the evidence I provided to the regulators in 2009 – 2011, it looks like these regulators will finally be forced to act. Either way, once it is realized that the true gold price is as yet undiscovered and related to billions of dollars worth of entrenched naked short derivative bets, the sharks will smell blood and watch out above (as the price of gold will soar). Right now the Western central planners are losing control of the precious metals market reigns, as evidenced by the distinct changes in market behavior. Historical correlations are evaporating and we are seeing a push into physical on a scale I have never witnessed before. All dips are going to be bought and discounts from here on will be shallow, and the only thing that can save Wester central planners is a…To continue listening to the powerful KWN audio interview with whistleblower Andrew Maguire that will be released later today, and you can access it when it’s released by CLICKING HERE. Well worth a listen ....... what the big boys are doing at the table whilst everyone is focused on elections and paper signing. "Standard and Poor's downgraded ExxonMobil's credit rating from AAA to AA+ on Tuesday because of expectations of continuing low oil prices. S&P told CNBC that it has had a AAA rating on Exxon since July 5, 1949. The move leaves only Microsoft and Johnson & Johnson with AAA ratings from S&P. Shares of ExxonMobil were flat on the day. In its announcement, S&P said that it expects Exxon's "credit measures, including free operating cash flow (FOCF) to debt and discretionary cash flow (DCF) to debt, will remain below [its] expectations for the 'AAA' rating through 2018." The ratings agency added that its outlook on Exxon is stable. S&P added that the "company's debt level has more than doubled in recent years, reflecting high capital spending on major projects in a high commodity price environment and dividends and share repurchases that substantially exceeded internally generated cash flow." Should these strange words mean anything to us? ......If truth be told, the official monetary policy is wrecking the global economy. QE with ZIRP serve as a death warrant to the USDollar, etched in monetary policy. Assured mutual destrution is clear. The Gold Standard is visible, a solution avoided since 2008 but urgently called for now. Bear in mind the honest inflation adjustment, which calls for the 1980 high to occur at $150/oz for silver. It remains realistic, especially given the increasing usage of silver in various industrial application. Silver will be part of the new asset backed global currency system.